Part number reference only; wfx000181 / wjn00080r / lr023043. 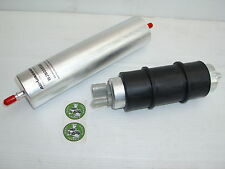 Land Rover Freelander Td4 Remote Fuel Pump & Filter. 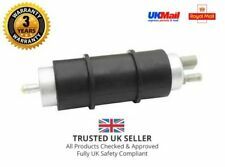 Suitable for ALL Land Rover Freelander Td4 vehicles from chassis number 2A209831 onwards. Land rover Defender/ Discovery/200/ 300 tdi boost - Dynamic -Timing-shim-power. 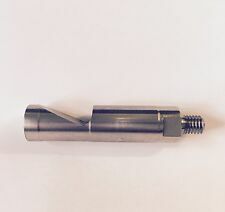 Also try one of our Tdi boost pins to make your Tdi perform even better. Tdi Timing Shim. The shim is designed to give you enhanced upper rev performance of the Tdi Engine. Our shim is CNC using top quality seals that will not perish or leak fuel. Part Number: WFX000280. Discovery 2 TD5 Bearmach Fuel Pump. Manufacturer: Bearmach. All M akes 4x4 Bearmach. Land Rover Discovery 2 TD5 In The Tank Fuel Pump. Discovery 2 TD5, (1998-2004). Land Rover Parts & Accessories. WFX000260 Def 110 TD5 Fuel Pump. Part Number: WFX000260. Land Rover Defender 110 TD5 Fuel Pump & Sender Unit. Land Rover Defender 110 TD5, (1998-2006). Defender Parts. Series 2 & 3 - Defender 90/110/130, Discovery 1,2,3,4,5 & Sport - Freelander 1 & 2 - Range Rover Classic, P38, L322, L405, Sport & Evoque. LAND ROVER 2.25LTR 1965 ONWARDS. Part Number PP56A. Manufacturer Part Number BR 3256R. MPN BR 3256R. RST Online are trusted suppliers of Britpart, Bearmach, Allmakes, Durite, DDS and genuine Land Rover parts. Bearmach part Number. Independant Land Rover Specialist Since 1974. Donor Vehicle: LAND ROVER DISCOVERY 2 TD5. Land Rover Specialist - Recyclers / Breakers. Item: IN-TANK FUEL PUMP. 10,000 SQ FT WAREHOUSE = 10,000 PARTS AVAILABLE FROM US! WE CANNOT BE HELD RESPONSIBLE FOR PART INCOMPATIBILITY. Land Rover. Land Rover Freelander 2 LF_ 2.2 TD4 4x4. Land Rover Freelander LN 2.0 TD4 4x4. Direct 2 Public. All the information we have regarding the fitting is stated above. OEM Part Numbers Compatability Chart is for the reference only. Allmakes 4x4. L R Parts Ltd is an authorized Allmakes 4x4 distributor, we specialize in new Land Rover Spares, stainless steel bolt sets for Land Rovers and general maintenance parts. Pictures are for reference only and specifications may alter without notice. Part Number: WGS500110. Land Rover Discovery 3&4 - 2.7 TDV6. Range Rover Sport - 2.7 TDV6. FUEL PUMP MODULE IN TANK. Unit 25 KELVIN WAY TRADING ESTATE. USEFUL LINKS. Social Links. B70 7TW, UK. LAND ROVER SERIES II & III 2.25 LITRE PETROL ; YEARS 1958-1985. Each kit includes the various seals, valves & gaskets plus the main rubber diaphragm and pin. An ideal kit to repair your existing broken or worn fuel pump. WFX000250 / WQC000200 / WQB100410. IN TANK FUEL PUMP & SENDER For Land Rover Defender 90 2.5 TD5 WFX000250. OEM Part Number. Part Number: YNI500030K. Land Rover Discovery 2 TD5 New Green Fuel Pipe. Land Rover Discovery 2 TD5, (1998-2004). Land Rover Parts & Accessories. Land Rover Parts. Discovery Parts. Series 2 & 3 - Defender 90/110/130, Discovery 1,2,3,4,5 & Sport - Freelander 1 & 2 - Range Rover Classic, P38, L322, L405, Sport & Evoque. Land Rover WFX500070. Land Rover FreeLander [2001-2006] 2.0 TD4. Land Rover WFX000200. UK / US / DE / HK warehouse. We have four warehouses OEM Part Number. Part number reference only; err5057. 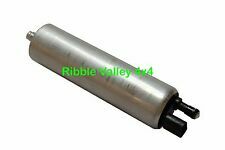 Land Rover Discovery 300Tdi Fuel Pump & fittings. Suitable for ALL Land Rover Discovery 1 - 300 Tdi vehicles. ALL Land Rover Defender 90 / 110 / 130 - 300 Tdi vehicles.